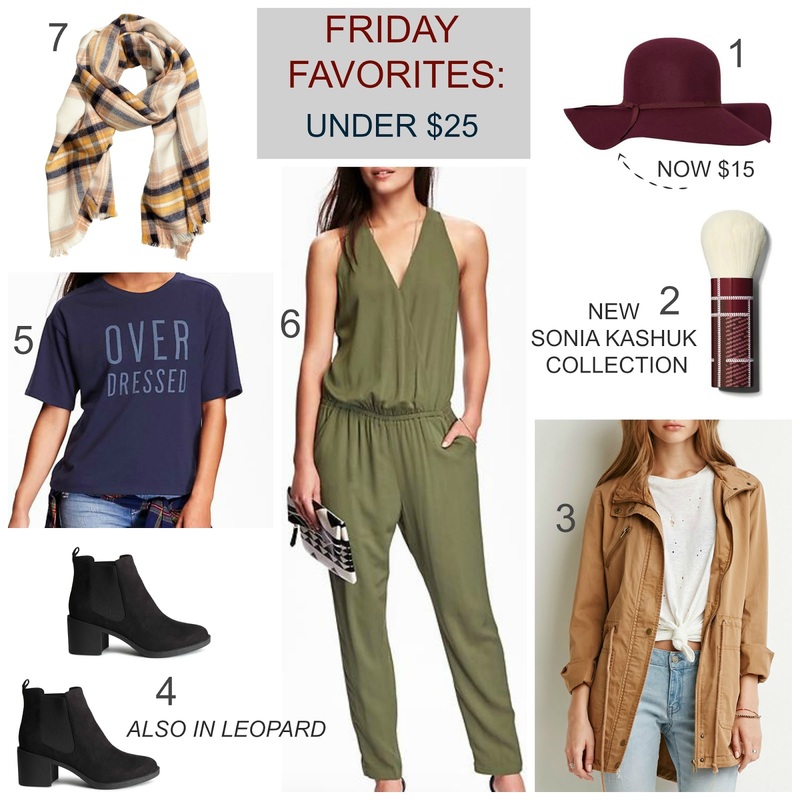 Tracy's Notebook of Style: Friday Favorites under $25 + Weekend Sales! Can anyone else believe this is the last weekend in August...seriously, where did the summer go? September is an exciting month with collabs at both Target (Adam Lippes plaid collection I blogged about here) and Kohl's with Thakoon!! Here are some go-to fall favorites that will be on repeat throughout the season, I love when items go on sale way before you actually need them. In case you don't own a floppy hat, this one was really cute in person and easy to grab and go and look stylish! I've been stalking the Target website for a couple of weeks waiting for this plaid collection. I love Sonia Kashuk brushes, so this one is definitely coming home with me when it hits the stores this weekend (fingers crossed). I thought this jacket was a steal for $25, so you can save a few more dollars this week, make sure to try it on in person, depending on if you want a slightly oversized fit, I thought it ran smaller than their usual jackets. These boots are great if you want some extra height since they are taller than your standard "booties", loved the faux suede look, my store didn't have the leopard version, and you never know what they will look like in person. Anyone who reads this blog knows how obsessed I am with statement tees and I love the irony of a t-shirt with the words "over dressed". I can't believe this jumpsuit is already 50% off this weekend! It's a perfect way to try out the jumpsuit trend without spending a lot, check out the pretty navy/brown floral print I posted here at the store too! H&M did it again with this blanket-style scarf, looove the colors! How cute is this New Sonia Kashuk Collection?!! 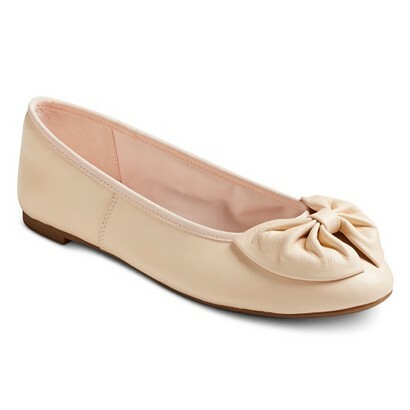 I always scoop up a pair when they go on clearance and these come in 3 more colors! 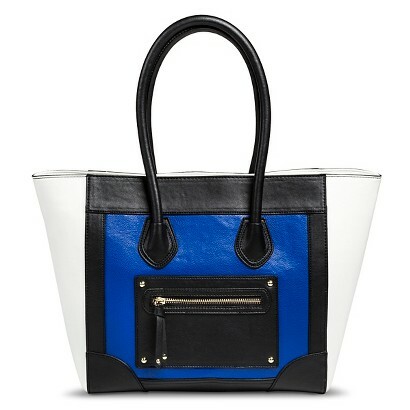 total steal for only $20 and it has leopard lining! The latest collab at Forever 21 is so fun and items start at $4.95 here for a cute pouch. Make sure to shop at Kohl's in store this weekend to save an EXTRA 20% off Clearance! 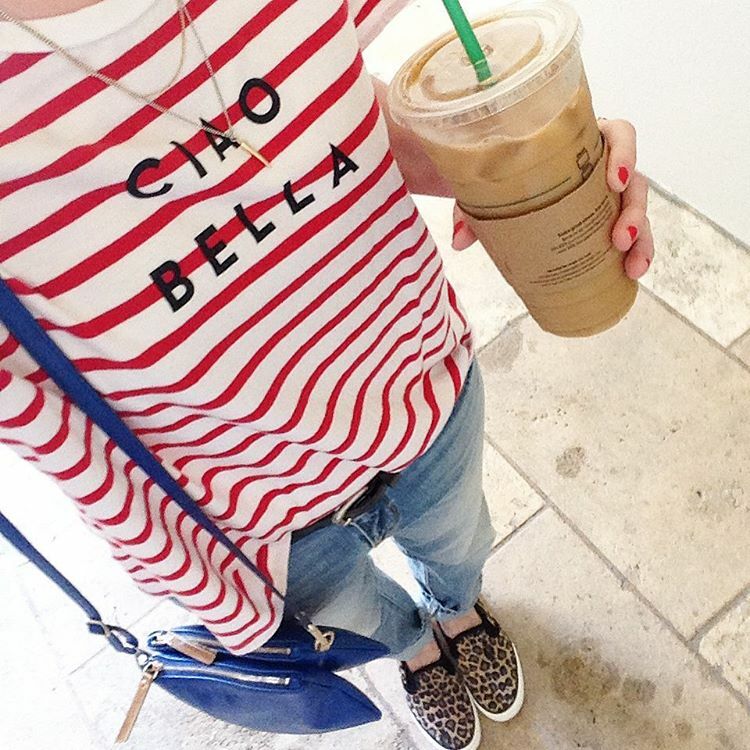 I found this #MillyforKohls "Ciao Bella" tee for less $4 in stores! Gap up to 50% off dresses and more! 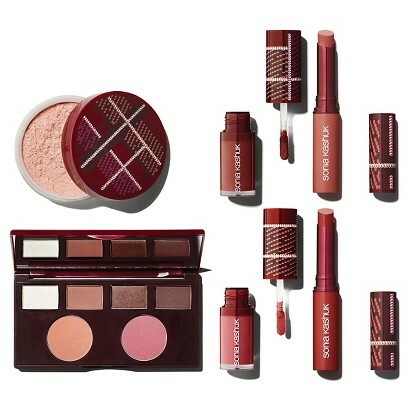 Sephora A ton of NEW markdowns here! Awesome picks! I really need to get a cute hat like that, I love it! Have a wonderful weekend!